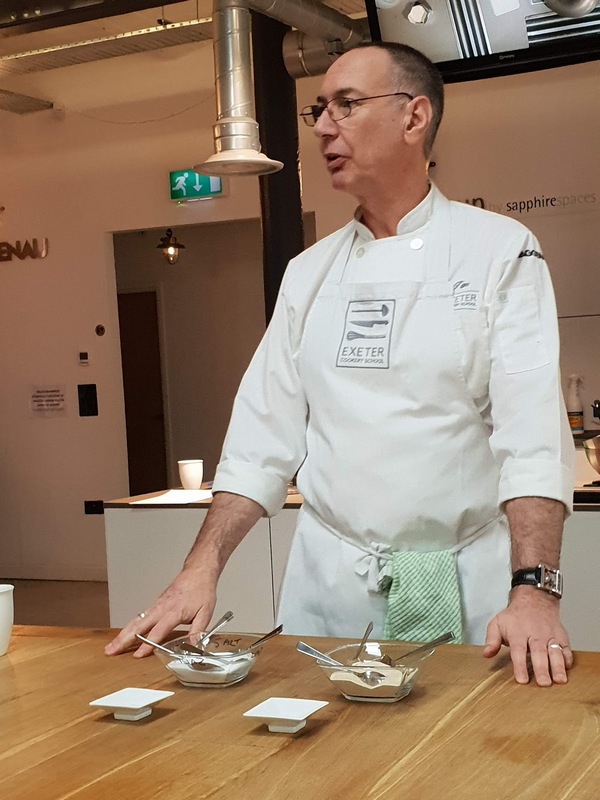 Back in 2015 I was lucky enough to be invited to attend a cookery course run by chef Jim Fisher. Jim and his wife Lucy were running Exeter Cooker School pop up classes in the swish, state-of-the-art kitchens at Sapphire Spaces in Topsham. 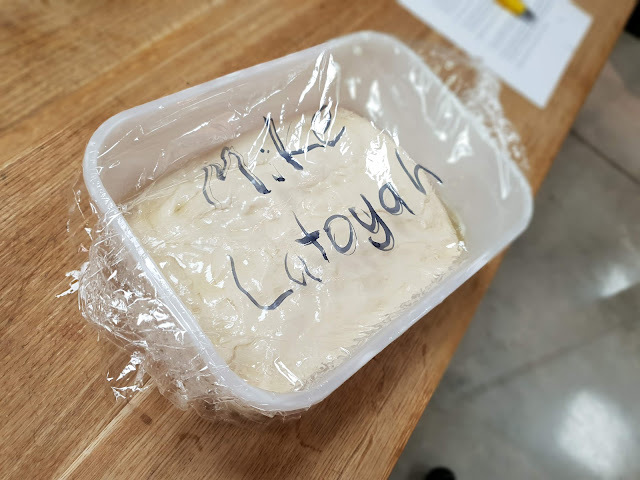 It was a full day workshop where I learnt how to make some delicious breads, ice cream, tarts and slow cooked braised beef cheeks. 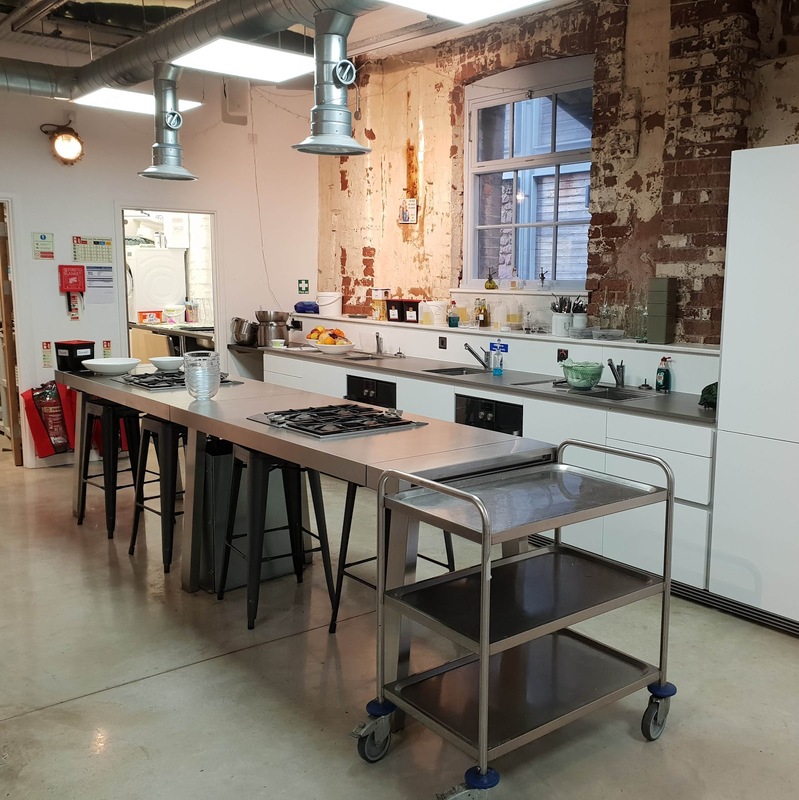 By 2016 Exeter Cookery School had it's own home in a Grade II Listed former warehouse on Exeter's historic Quayside. 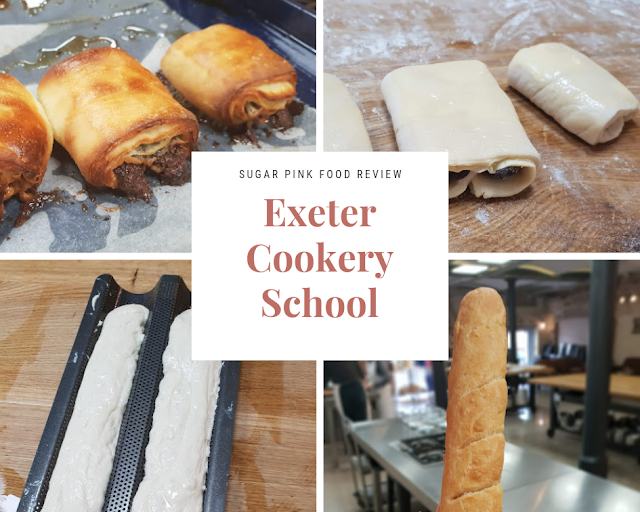 I also got the opportunity to attend a spun sugar workshop in the new home in 2016, where I discovered the art of spun sugar and made some fabulous sweet creations. They have such a wide variety of courses on offer, and I feel like I have watched the school into the incredible force it is now over the years. I've seen Jim at various foodie events, including the time I met Tom Kerridge at the Great Food & Drink Show. Jim is a really great teacher, incredibly engaging, and exceptionally knowledgeable. I really love and enjoy any time I attend a course or get to catch up with him and Lucy. Friends of mine have also attended various courses and all enjoyed it as much as I do. 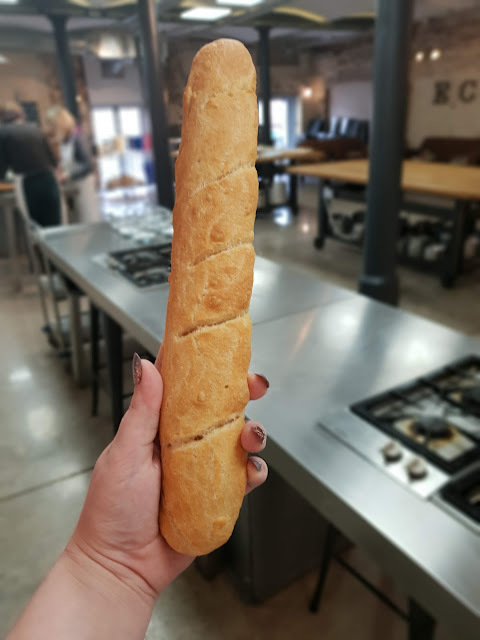 In 2019 I eagerly attended a full day French Boulangerie Favourites course, which teaches how to make Croissants, Pain aux Raisins, Pains au Chocolat and French Baguettes- some of my favourite things in life! 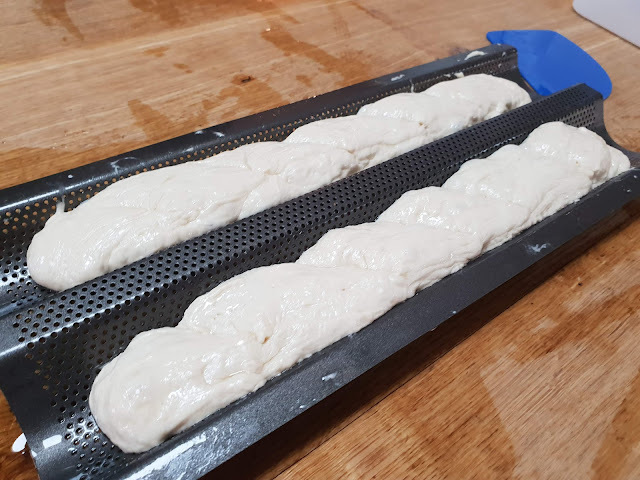 In the morning we made baguettes, as the dough for everything else took longer to prepare and prove. 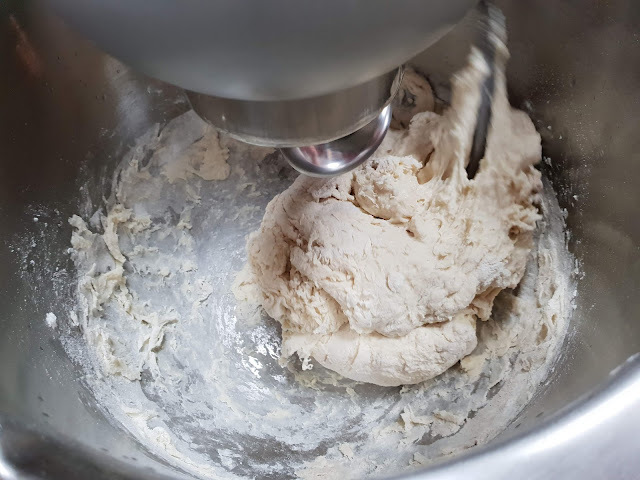 The French Baguette dough is super wet and almost impossible to handle. We made the mix up and then let it prove for while, where it almost doubled in size. 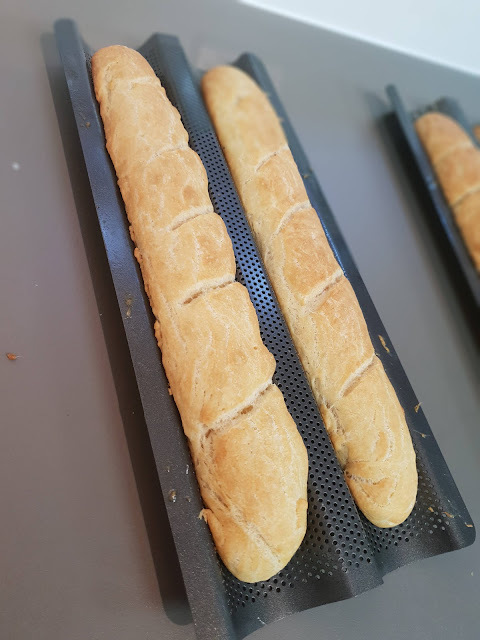 We then used a special baguette baking tin, and had to scoop the mixture into it. I don't want to give away all of Jim's chefy tips, you'll have to attend the course! 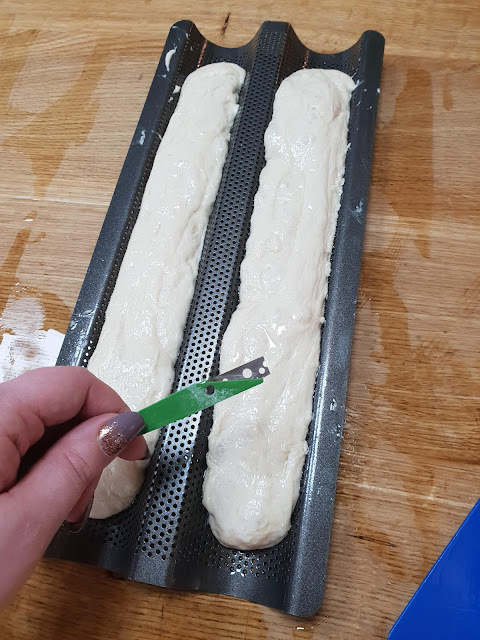 Once we got them into the tins we scored the top to ensure the bread only expended where we wanted it to and didn't get too out of shape during the baking process. I was very happy with the finished product! 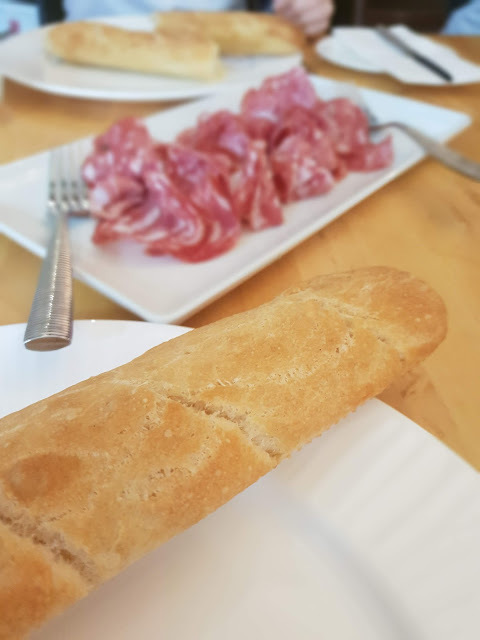 At lunch time we feasted on our freshly baked bread with a selection of meat and cheese. It was literally heaven! 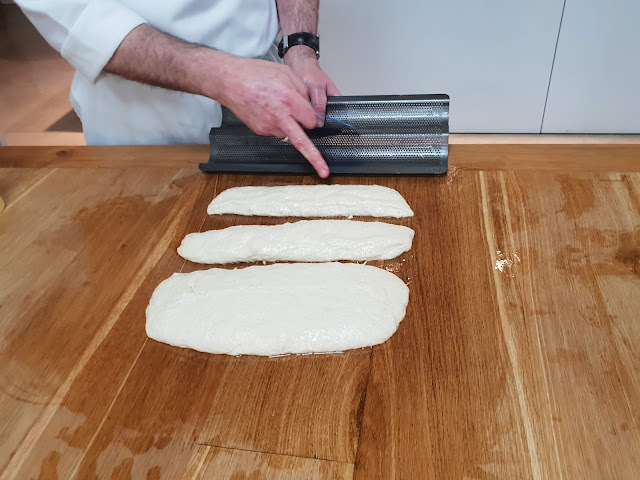 Throughout the morning we were rolling the butter into our dough to create a yeasted puff pasty dough, which was the base of the Croissants, Pain aux Raisins, Pains au Chocolat. 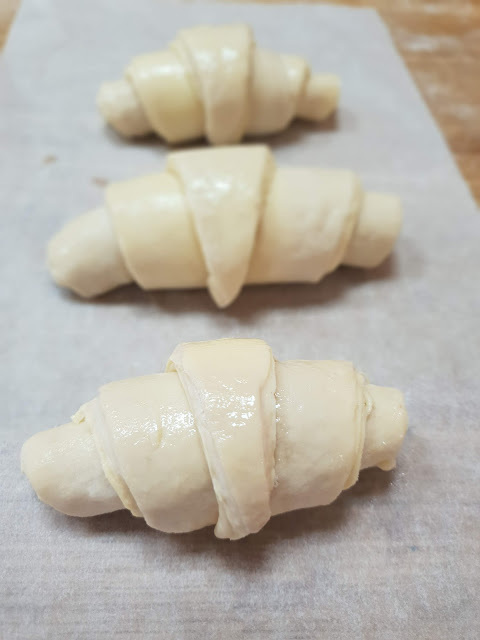 It is a lengthy process, but worth it for the delicious Croissants. 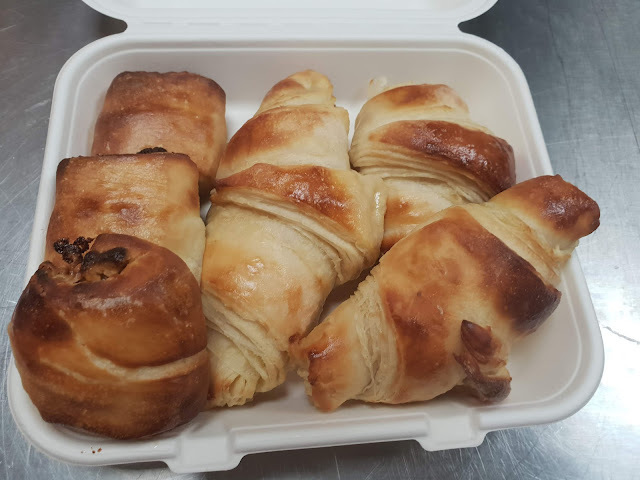 Croissants are made from triangle shapes, rolled up and then glossed with egg wash. 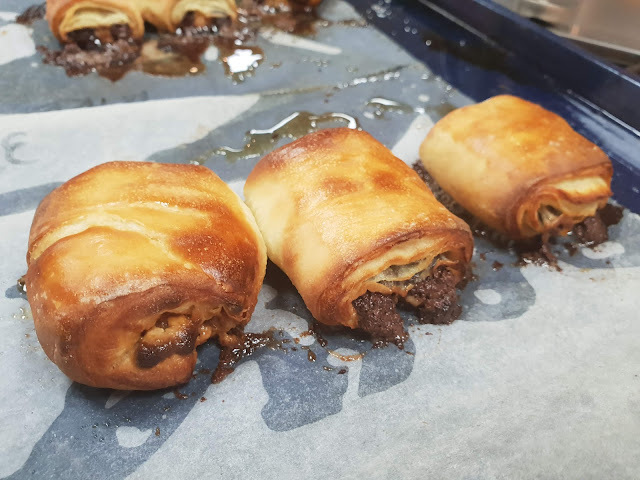 The Pain au Chocolat we made using chocolate buttons in 2 strips. How amazing do these look cooked up? It was a great day out and I loved learning how to make some of my favourites. I even got a certificate to show off! As part of the course you get given a pack with all the recipes so that you can use your newly acquired skills at home. It is a great day out for any foodie fan, I really recommend it! I was invited as a guest to attend the course, however all thoughts and options are honest and my own.